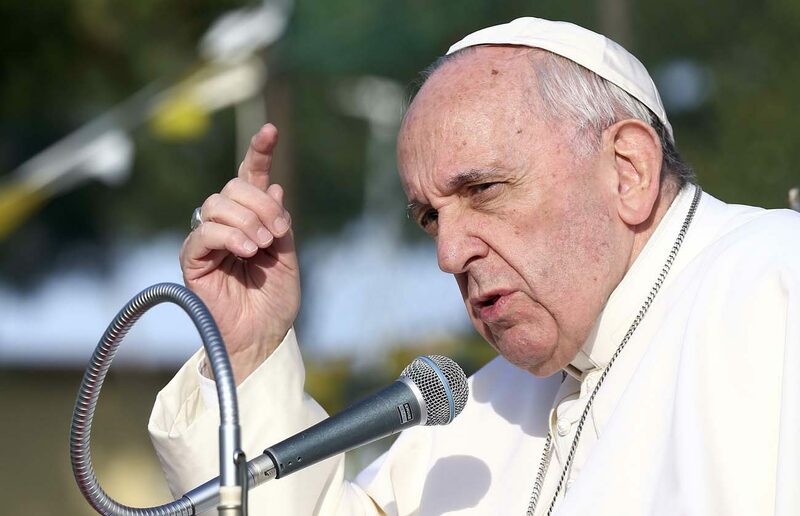 VATICAN CITY (CNS) — While Pope Francis’ recent comments on the subject of married priests made headlines around the world, his response falls clearly in line with the thinking of his predecessors. In an interview with German newspaper Die Zeit, published in early March, Pope Francis was asked if allowing candidates for the priesthood to fall in love and marry could be “an incentive” for combatting the shortage of priestly vocations. He was also asked about the possibility of allowing married “viri probati” — men of proven virtue — to become priests. “We have to study whether ‘viri probati’ are a possibility. We then also need to determine which tasks they could take on, such as in remote communities, for example,” Pope Francis said. Expressing a willingness to study the question of allowing married men to become priests was hardly a groundbreaking response given that the topic was explored in two meetings of the Synod of Bishops and by both Pope Benedict XVI and St. John Paul II. During the 2005 Synod of Bishops on the Eucharist, the possibility of ordaining men of proven virtue was raised as a way to provide priests for areas of the world where Catholics have very limited access to Mass and the sacraments. “Some participants made reference to ‘viri probati,’ but in the end the small discussion groups evaluated this hypothesis as a road not to follow,” a proposition from the synod said. Eight years before he was elected pope, then-Cardinal Joseph Ratzinger said that while married priests in the Catholic Church were not on the horizon in “the foreseeable future,” it was not an entirely closed subject. The question of mandatory celibacy for most priests in the Latin rite of the Catholic Church has been debated heavily in recent years, with some people seeing it as a way to encourage more men to enter the priesthood since they would be able to serve without giving up marriage and the possibility of having a family. “The renunciation of marriage and family is thus to be understood in terms of this vision: I renounce what, humanly speaking, is not only the most normal but also the most important thing,” he said. The celibacy rule is a church discipline, but its roots are found in the Gospel when Jesus speaks to his disciples about the possibility of remaining celibate for the kingdom of God. “Some are incapable of marriage because they were born so; some, because they were made so by others; some, because they have renounced marriage for the sake of the kingdom of heaven. Whoever can accept this ought to accept it,” Jesus says in the Gospel of Matthew (19:12). In his apostolic exhortation, “Pastores Dabo Vobis” (“I will give you shepherds”), written in response to the 1990 Synod of Bishops, St. John Paul II wrote that Jesus wished to not only affirm the “specific dignity and sacramental holiness” of marriage, but also to show that another path for Christians exists. “The point is really an existence that stakes everything on God and leaves out precisely the one thing that normally makes a human existence fulfilled with a promising future,” he said. Pope Francis response to the question of allowing young men thinking about the priesthood to marry as an “incentive” followed in the same line. “Voluntary celibacy is often discussed in this context, especially where there is a lack of clergy. However, voluntary celibacy is not a solution,” the pope told Die Zeit. St. John Paul II had said the same. During a general audience July 17, 1993, he said that while celibacy “does not belong to the essence of priesthood,” Jesus himself proposed it as an ideal. Similarly, then-Cardinal Ratzinger said the celibacy requirement “is not dogma” but rather a “form of life” that involves the priests’ faith and not his dominion over his own nature. “I think that what provokes people today against celibacy is that they see how many priests really aren’t inwardly in agreement with it and either live it hypocritically, badly, not at all, or only live it in a tortured way. So people say,” he said. When all is said and done, Pope Francis’ openness to considering an expanded possibility for married priests is not revolutionary at all, but is a continuation of a conversation that has gone on for decades and is likely to continue for some time.